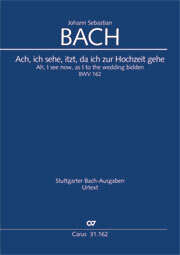 The Hochzeitskantate (Wedding Cantata) BWV 195 was performed by Bach from around 1730 at various wedding celebrations in different forms, and was evidently also lent out for performances further afield. 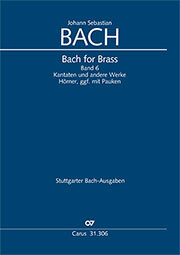 The only surviving version of the work dates from the last years of Bach’s life. The opulently-scored first part begins and ends with grand choral movements, and Bach scored both parts for soloists and for chorus. 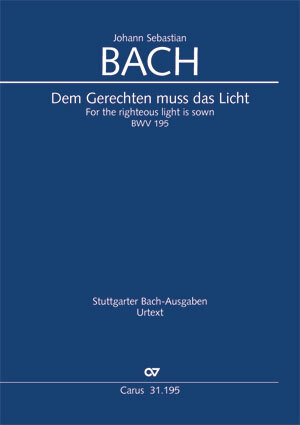 At the centre of the cantata is an exceptionally sensitive bass aria, probably one of Bach’s most modern vocal compositions of all. 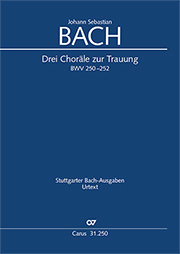 A chorale movement (“Nun danket all and bringet Ehr”/ “Now thank we all and offer praise”) with obbligato horns concludes the cantata as the second part “after the consummation”.